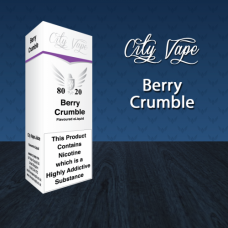 Exceedingly good vapes, thats what we expect from our City Vape range, and our mix master exceeded a..
A national favorite, every sunday the mighty crumble comes out of the oven and mouths water! This mi..
Heisenberg has been a favourite in the vaping world for many years. Blackberg takes this to a new fr.. There is nothing better than a day at the beach, and no day at the beach would be complete without a..
Can you keep your cool? City Vape Blue Mint is a brand new combination of juicy blueberries, cooling..
Super juicy blueberry and crisp apples all baked together in light and crumbly butter pastry finishe..
A complex blend of barista approved flavours, City Vape Cafe Latte is a beautifully balanced coffee,..
City Berg is a collection of berry flavours, cooling menthol and an infusion of tropical mango, City..
Mini doughnuts with a sugar glaze and a sugar dusting! 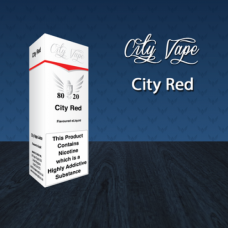 Try not to lick your lips after vaping City D..
As the old City Vape take on Pinkman was so popular we decided that it was time to push for a fuller..
City Red is an improved and twisted version of a classic, a fantastic British flavour that we just h..
A totally new flavour, while the whole world scrambles to create various versions of lemon tart, Cit..
City Vape Mam's Milk was selling out faster than we cold make it, we improved the blending of the fl..
An instant best seller when City Vape launched this flavour over a year ago, it was simply divine, p..
Sherbet fizz has been a flavour that was overlooked for years, City Vape have revamped and recreated..
Lush and ripe strawberry mixed with sharp kiwi, everything we wanted to move forward with this ..
What range would be complete without Strawberry Chews? 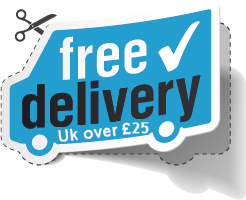 We found a perfect strawberry flavour to use ..
Soothing, warm and sticky strawberry jam, there isn't much that strawberry jam cant taste great with..
City Vape always had a grape flavour in the range but the new line of TPD compliant liquids had to b.. 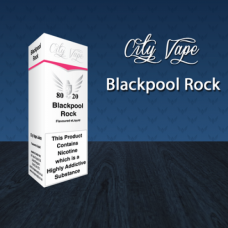 Developed alongside our City LB flavour and geared towards a sweet aroma and bright leaf tobacco Tob.. When asked to develop a new and balanced Vanilla Custard flavour that would keep up with the old ver..
Melon flavours are new to City Vape, this flavour was requested by many City Vape fans and since we ..